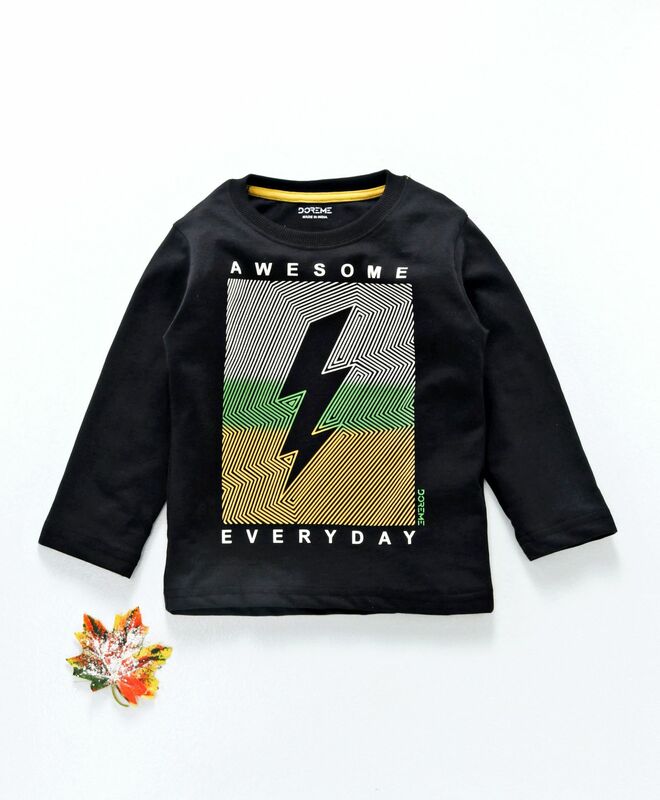 Make your little one stylish and comfortable this season with this full sleeves t-shirt from the house of Doreme. The print to the front gives it an appealing look. This snug round neck tee is made from soft fabric for comfort all day long.